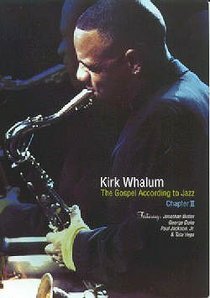 Kirk Whalum (b. July 11, 1958) is an American smooth jazz saxophonist and songwriter. He later toured as Whitney Houston's opening act for several years. Whalum has also recorded a series of well received solo albums and film soundtracks, with music ranging from pop to R&B to smooth jazz. Kirks musical accomplishments have brought him a total of seven Grammy nominations.